Today, I have a flavorful, juicy Malaysian Chicken Satay recipe for you. 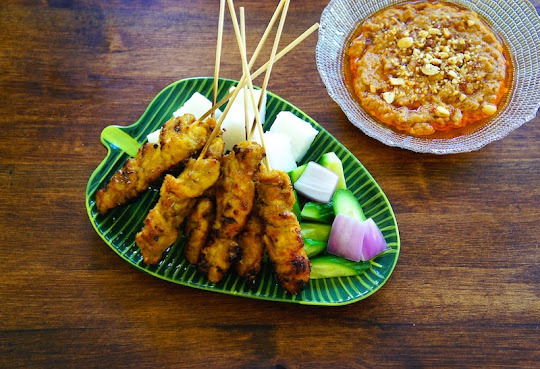 It just isn't satay if you don't have some peanut sauce. So I'll be sharing my new and improved "Easy Peanut Sauce" for my next post. Recently, I started uploading step-by-step videos on YouTube, so if you liked the videos, please leave a like and subscribe if you want to see more. Oh, how I missed satay! Reminds me of Kajang Satay. Your satay looks very authentic. Bet they are delicious. Thanks for the compliments. Yes, they were delicious!